Conventional vehicles utilize petroleum derived fuels to provide good per-formance and long range. But there are some disadvantages such as low fuel economy and exhaust gas emissions causing environmental pollution. In this re-spect, interest in electric vehicles is increasing. 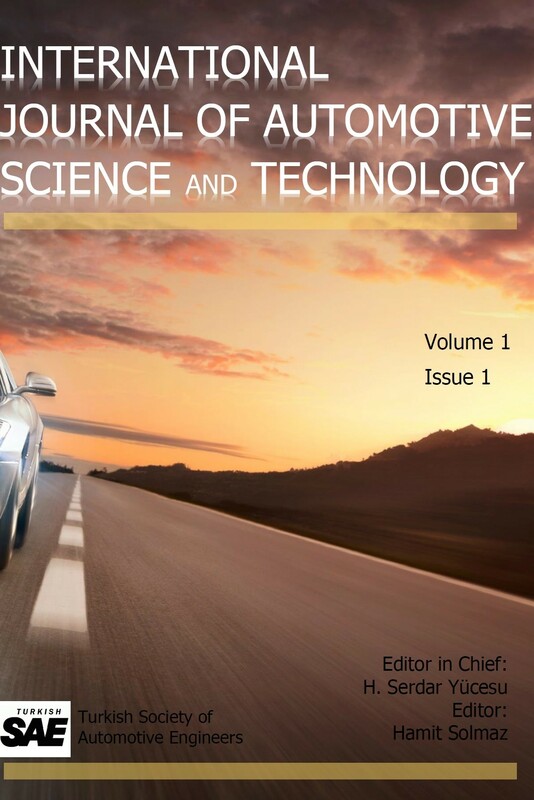 In this study, the dynamic model of an electric vehicle was created with MATLAB/Simulink. The energy con-sumption values of the electric vehicle were determined. The effect of parame-ters on vehicle performance and energy consumption has been examined. As a result of tests, the vehicle consumes 15.82 kWh of energy per 100 kilometers and the vehicle has a 177 kilometers range, according to NEDC. With regenera-tive braking, an energy saving of 8% was achieved in 100 kilometers. - T. Hofman ve C. H. Dai, Energy Efficiency Analysis And Comparison Of Transmission Technologies For An Electric Vehicle, Technische Universiteit Eindhoven (Tu/E), Department Of Mechanical Engineering, 2010. - A. Kerem, Elektrikli Taşıt Teknolojisinin Gelişimi ve Gelecek Beklentileri, Mehmet Akif Ersoy Üniversitesi Fen Bilimleri Enstitüsü Dergisi, Derleme Makalesi, Burdur, 2014. - O. Vatan, Modellıng And Sımulatıon Of Longıtudınal Dynamıcs Of Electrıc Vehıcles, İstanbul Technıcal Unıversıty Instıtute Of Scıence And Technology, Mechanical Engineering Programme Of Automotive, 2011. - Xue X. D., Cheng K. W. E., Cheung N. C. Selection of Electric Motor Drives for Electric Vehicles. In Power Engineering Conference, 2008. Aupec'08. Australasian Universities, 2008 1-6. - E.Başer, Elektrikli Taşıtlarda Yol Koşullarına Uygun Motor Seçimi Algoritması Geliştirme, Düzce Üniversitesi Fen Bilimleri Enstitüsü, Bilgisayar Mühendisliği Anabilim Dalı, Yüksek Lisans Tezi, Düzce, 2016 .